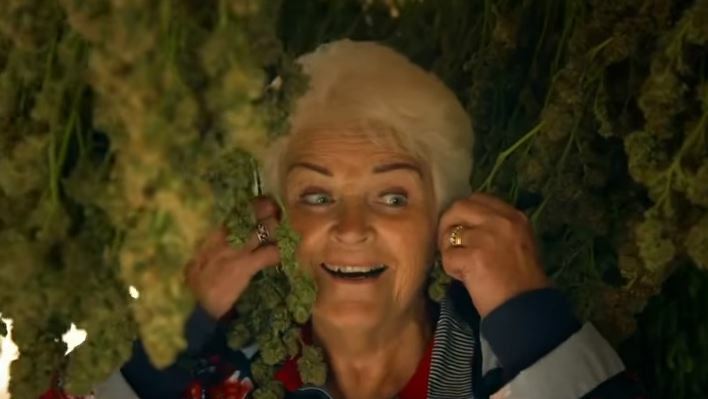 Pam St Clement – aka Pat Butcher – has revealed she uses cannabis everyday and is now calling for it to be legalised in the UK. 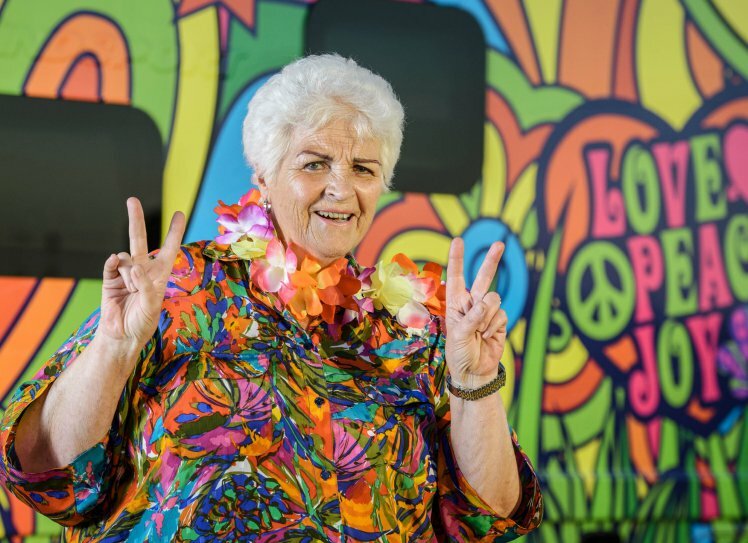 75-year-old Pam, who played the legendary Pat Butcher on Eastenders for an impressive 26 years, suffers from a condition called polymyalgia rheumatic. The condition causes pain, stiffness and inflammation in the muscles around the shoulders, neck and hips – she said now that she’s learned about cannabis and CBD ‘it’s absolutely wonderful’. Because of her painful condition, Pam said she uses cannabis-infused to oil to relieve the aches and pains, writes the Independent. The actor recently appeared on a bizarre ITV show called Gone To Pot: American Road Trip. 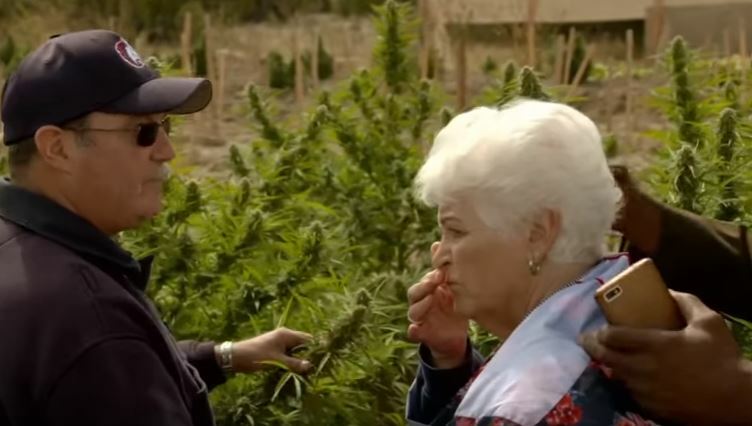 In case you missed it, Gone To Pot was a three-part series where celebrities were taken to various locations around America to learn about marijuana. 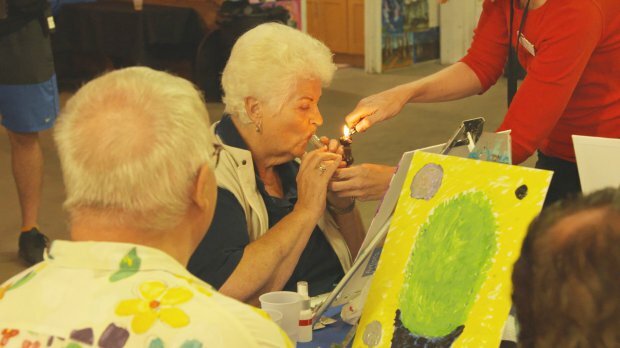 People online were absolutely loving the scenes where Pam smoked marijuana with nuns and took a big old hit on a bong. Pam has now praised the drug – which was reclassified from a class C to B drug back in 2008 – and said products containing cannabidiol (CBD) had ‘revolutionised her life’. CBD is a non-psychoactive compound of marijuana and was classed as a medicine at the beginning of the year. Pam said she now buys a daily dose of ‘CBD + Oil’ from high street health shop, Holland & Barrett. Taking this oil has changed my life. I am no longer in pain. My joints are no longer stiff, I sleep better, almost jump out of bed and walk longer distances – all things I could never have dreamed six weeks ago. I have suffered with polymyalgia rheumatica for the past 10 years. I just woke up with it one day. Until now the only thing that treats it is steroids, which I’ve become resistant to. But Gone To Pot changed my life because when I went to America to find out about how cannabis has been legalised in certain states, I also discovered CBD. And I have to say that it’s absolutely wonderful. I didn’t realise cannabis was such a complex plant with these properties which you can get medical help from. Am I dreaming or is there a TV show with Christopher Biggins & Pam St. Clement driving around America in the Mystery Machine while getting off their heads on pot? Pam said the drops have given her a new lease of life. I am very happy using the drops – ones that are legal. I take them every day under my tongue and they don’t give you a high. I was prescribed some in LA but they had THC, which is the hallucinogenic part of marijuana. But since I have got back from America I have been taking CBD oil consistently and my limbs feel less stiff and less sore. There are things I wasn’t able to do before like carrying shopping, walking long distances and going for country walks. For the first time in years, I feel as if I am walking straight and upright. Pam said while she did ‘not like the hallucinogenic (THC) effects of cannabis’, she was a big fan of its healing properties and said she is hoping research into it could be hurried along so it is able to be presented to politicians. Oxford University is doing research into its medicinal properties and we should hurry up with more research. Then we can sling it at the politicians to see if they will legalise it.